Main principle of this report is to analysis Working Process of Retail Banking Operations of BRAC Bank Limited. Other objectives are to know the work process and monitoring system of Retail Banking Operations and to know how to complete the steps of the working process. Report mainly focus on the Retail Banking Procedures which is must for the Working process and to know the terms and conditions of Retail Banking loans. Finally analysis the disbursement and recovery procedures of RBO loans and make some policy implications and conclusion to further the development of Retail Banking loan products of BBL. Modern banking system plays a vital role for a nation’s economic development. Over the last few years the banking world has been undergoing a lot of changes due to deregulation, technological innovations, globalization etc. These changes in the banking system also brought revolutionary changes in a country’s economy. Present world is changing rapidly to face the challenge of competitive free market economy. It is well recognized that there is an urgent need for better, qualified management and better-trained staff in the dynamic global financial market. Bangladesh is no exceptions of this trend. Banking Sector in Bangladesh is facing challenges from different angles though its prospect is bright in the future. Nationalized Commercial Banks (NCB) were established in Bangladesh in 1972 through amalgamation of twelve commercial banks that were operating in pre-independent Bangladesh. Allowing the poor access to fund, reducing capital flight to foreign countries, and increasing domestic investments were some of the basic objective of this Nationalization. That means a society with wealth distributed as equitably as possible. But with time difference those bank have changed their policies and strategies, which was not fulfilling the class banking policies of the government. On an evaluation of the activities of commercial banks, it has been observed that the progresses made by the banking industry since nationalization was not impressive. The nationalized banks could not play the due role in the implementation of government programs and policies. Hence, a trend of de-nationalization of banks started from mid 80’s. In the meantime, the policy of the government towards banking industry regarding economic management has changed since 1976. This year private sector has been entrusted to play a bigger role in the economy than before. Accordingly, in order to provide more credit to local investors the private sector banking had been introduced. Government decided to allow setting up of local Private Commercial Banks (PCB) in addition to Nationalized Commercial Banks (NCB) operating in the country. Banks today are under great pressure to perform to meet the objective of their stockholders, employees, depositors and borrowing customers, while somehow keeping government regulators satisfied that the bank’s policies, loan and investment are sound. For any bank, loans and advances constitute the largest portion of asset section in Balance Sheet. Moreover, interest from loan is the prime source of income for a bank. Hence risk, liquidity, and profitability – virtually all these three depend on how the loan disbursement policy has been made and how the loan portfolio is being managed. It is argued that poor performance of a bank is not only due to liquidity crises, but also for the loans that are become classified. Every individual bank should have a system, which can monitor the creditors of the bank. An extensive investigation and research work can be done to see bank’s current stand point on the classified loan monitoring and its effect on the profitability of the bank. For this study we will be considering Brac Bank Limited as our primary data provider and will give us full support to make the paper a comprehensive one. The Bangladesh Bank is now carrying out a reform program to ensure quality services by the banks. Bangladesh Bank (BB) has been working as the central bank since the country’s independence. Its prime jobs include issuing of currency, maintaining foreign exchange reserve and providing transaction facilities of all public monetary matters. Bangladesh Bank is also responsible for planning the government’s monetary policy and implementing it thereby. 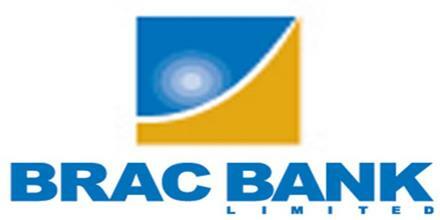 BRAC Bank Ltd is a scheduled commercial bank in Bangladesh. BRAC Bank committed its business operation on 4th July 2001, in Dhaka, Bangladesh. This bank is mainly owned by the largest NGO in Bangladesh-BRAC (Bangladesh Rural Advancement Committee). The bank has positioned it self as a new generation bank with a focus to meet diverse financial needs of the economy. BRAC Bank Limited, with institutional shareholdings by BRAC, International Finance Corporation (IFC) and Shorecap International, has been the fastest growing Bank in 2004 and 2005. At the year end of 2006, BRAC Bank had recorded a 103 percent growth in assets, and a 65 percent growth in liabilities, with an operating profit of 84 percent over the previous year 2006. A fully operational commercial bank, BRAC Bank focuses on pursuing unexplored market niches in the Small and Medium Enterprise Business, which hitherto has remained largely untapped within the country. In the last four years of operation, the Bank has disbursed over BDT 1200 crore in loans to nearly 50000 small and medium entrepreneurs. The management of the Bank believes that this sector of the economy can contribute the most to the rapid generation of employment in Bangladesh. BRAC, a national, private organisation, started as an almost entirely donor funded, small-scale relief and rehabilitaton project initiated by Fazle Hasan Abed to help the country overcome the devastation and trauma of the Liberation War and focused on resettling refugees returning from India. Today, BRAC has emerged as an independent, virtually self-financed paradigm in sustainable human development. It is one of the largest Southern development organisations employing 97,192 people, with 61% women, and working with the twin objectives of poverty alleviation and empowerment of the poor. Today, BRAC Bank is one of the fastest growing banks in the country. In order to support the planned growth of its distribution network and its various business segments, BRAC Bank is currently looking for ambitious, goal oriented, enthusiastic, individuals for various business operations. A fully operational Commercial Bank, BRAC Bank focuses on pursuing unexplored market niches in the Small and Medium Enterprise Business, which hitherto has remained largely untapped within the country. In the last five years of operation, the Bank has disbursed over BDT 1500 crore in loans to nearly 50,000 small and medium entrepreneurs. The management of the Bank believes that this sector of the economy can contribute the most to the rapid generation of employment in Bangladesh. Since inception in July 2001, the Bank’s footprint has grown to 36 branches, 327 SME unit offices and 16 ATM sites across the country, and the customer base has expanded to 200,000 deposit and 45,000 advance accounts through 2006. In the years ahead BRAC Bank expects to introduce many more services and products as well as add a wider network of SME unit offices, Retail Branches and ATMs across the country. Over the years, the bank has been expanding its service coverage through introduction of new branches at different strategically important areas of the country. It is sponsored by a number of entrepreneurs representing various business groups with exposure in Garments, Textile, Steel & Engineering, Financial, Insurance, Electronics, and Cement and Construction Sectors. The bank has its authorized capital Tk. 2,00 cores. It provides a wide range of commercial banking services. As a whole, corporate loans account for 40% of the bank’s loan portfolio, while retail loans account for the rest 60% as on 31st December 2004. The bank has 22 branches, with staff strength of 925 as on 31st December 2004. The reason BRAC Bank is in business is to build a profitable and socially responsible financial institution focused on markets and businesses with growth potential, thereby assisting BRAC and stakeholders build a: just, enlightened, healthy, democratic and poverty free Bangladesh. This means to help make communities and economy of the country stronger and to help people achieve their dreams. They fulfill the purpose by reaching for high standards in everything they do for their customers, their shareholders, their associates and their communities upon, which the future prosperity of their company rests. They all know that how important it to choose the right career and employer, and that is the reason why they want to give you the clearest possible information about their organization. ShoreCap International Ltd. (SCI) is an international private equity company seeking to invest in small business banks and regulated micro-finance institutions in developing and transitional economies. ShoreCap was launched by ShoreBank Corporation, America’s first and leading community development and environmental banking corporation. It invests in small business banks, regulated micro-finance institutions and other regulated non-bank financial service companies striving to profitably meet the credit needs of micro entrepreneurs and small businesses in underserved markets. ShoreCap builds on ShoreBank’s strong history of investing in the renewal of local communities in the U.S. and internationally. ShoreBank’s international work began in 1983 by advising Dr. Muhammad Yunus and for 10 years doing the financial feasibility work for the major institutional donors to the Grameen Bank in Bangladesh. For twenty of its thirty years, ShoreBank has been working to release the dormant entrepreneurial energy of people in developing countries. ShoreCap is the next progression in that work. ShoreBank is a 9% investor in ShoreCap. Creating opportunities and pursuing market niches not traditionally met by conventional banks primarily drive BRAC Bank Ltd, a full service commercial bank with local and international shareholding. BRAC Bank has been striving to provide “best- in –the-class” services to its diverse range of customers spread across the country under an on-line banking platform. BBL is established under the banking companies act, 1991 and incorporated as a public limited company by shares on 20th May 1999 under the companies act, 1994 in Bangladesh. The primary objective of the bank is to carry on all kinds of banking businesses. The bank has started its operation on 4th July 2001 by special permission of Supreme Court. Branches: There are so far 36 branches and over 383 unit offices of BRAC Bank Ltd through out the country. BRAC Bank has a centralized banking structure through online banking system that resembles the ABN AMRO model. BRAC Bank consisted of four divisions namely- Retail Banking, Small and Medium Enterprise Division, Corporate Banking, Treasury Division, Secure Remittance Services (SRS), Cards Division and Marketing & Corporate Affairs. Since I completed my internship on retail banking, it would be convenient for me to focus on retail banking of BRAC Bank only. Continuous endeavor to increase fee based income. Like any other business organization, all the major decisions at Brac Bank Limited are made by the top management. The board of directors being at the highest level of organizational structure plays an important role on the policy formulation. The board of directors is not directly concerned with the day-to-day operation of bank. They have delegated their authority to its management committee. BRAC Bank Limited is a fast growing private sector bank and the bank is already at the top slot in terms of quality service to the customer’s ad the value creation to the shareholders. The bank made satisfactory progress over the years after its starting. Despite difficult circumstances it became able to sustain with some achievements. The bank further expected and consolidated its customer base in both of its core business and retail banking. BRAC Bank’s firm commitment to excellent working process on Retail Banking Operations as it’s the most important term in respect of Asset of BRAC Bank. If the bank can continue to progress in working process of RBO then it can decrease the problem loan files. Working Process improvement program and related activities are continuously being developed, reviewed and implemented with the objective of providing excellent service to their customers. This research is focused on “Working Process of Retail Banking Operations of Asset Part of BBL”. To know the work process and monitoring system of RBO. To know how to complete the steps of the working process. To know the Retail Banking Procedures which is must for the Working process. To find out basic appraisal of RBO loan. To know the terms and conditions of RBO loans. To know the internal strength of RBO related services of BRAC Bank Ltd.
To make some policy implications and conclusion to further the development of RBO loan products of BBL. In fact, my aim was to collect as much information as it can be possible for me to make an overview of the bank, its mission and vision, its departments and its functions. Of course I had to collect enough information so that I can make an analysis of RBO loan and the working process. The study is totally based on the primary data and secondary data. The report is divided into two parts. The information for the Organization part of the report is collected from secondary sources like books, published reports and official web site of BRAC Bank Limited For general concept development about the bank, short interviews and discussion session were taken as primary source. Moreover, my works towards the department has much relevance with the study. For gathering concept of SME loan, I have analyzed the RBO Product Program Guideline (PPG). Beside this observation, I have discussed with the employee of RBO and Asset Operations Department. Moreover, during my training period, I have learned all the sector of RBO at BBL. The retail banking division in BRAC Bank is very implicit and vast comparing to other banks in the country today. The personnel of BRAC Bank are devoted to give their best effort to satisfy their customers. So BRAC Bank serves its customers with respect and works very hard to instill a strong customer service culture throughout the bank. They always try to introduce more new and attractive products to go close to their customers. BRAC Bank’s Retail Division is being operated centrally. Under the Retail Banking Division all the branches, which acts as sales & service center, are reportable to Head of Retail Banking. BRAC Bank introducing Doctor’s Loan, an exclusive loan facility for the Doctor’s fraternity. Now practicing Doctor’s can avail this loan very easily to meet their professional needs. A salaried individual working in Bangladesh can keep an extra 15 month’s salary to his pocket with the help of BRAC Bank Salary loan, Loan against his salary Because BRAC Bank has been designed the concept of Salary Loan keeping the customers into their mind. The concept of NOW lone described by BRAC Bank as ‘You choose while we pay’! Life is good making it better when the customer can enjoy BRAC Bank Now Loan. In case a person need to purchase home appliances, furniture’s, computer or other consumer durables for personal use, the bank offer him the most appropriate solution with the Now loan. Both unregistered Brand New/Reconditioned car finance, Loan term: 12-60 months. ‘Honest profession, Honest Service’. BRAC Bank Teachers’ Loan provides a wedding or a dream holiday, financing a business or surviving an emergency, Teachers Loan can be applicable just within three days of application! ‘Your gateway to the world’ is the motto of BRAC Bank. The Study Loan gives the child deserves the best education that every person have planned it ahead. BRAC bank has the perfect solution for their child’s future without worried about financing. ‘It’s time to fly’, BRAC Bank Travel Loan opens the door for planning to take a trip abroad. It gives the simplest way of financing, which have fast and easy loan processing. The travel loan simply adds excitement to the travel plan. For salaried employees, tourist visa of the traveling country, last 3 month’s bank statement, last salary slip/ letter of introduction showing salary, proof of ID, proof of residence, business card, photocopy of passport, quotation from travel agency regarding airfare, proof of employment of minimum 2 years, applicant’s & employer’s name in the address field family member guarantee. For a self- employed person, tourist visa of the traveling country, last six months bank statement, copy of trade license, TIN Certificate, proof of residence, spouse guarantee, business card, photocopy of passport, quotation from travel agency regarding airfare. Through the BRAC Bank credit card is necessary to get a loan from BRAC Bank. Loan can be used for any reason from buying consumer goods, automobile to vacation expenses. BRAC Bank Top Up Loan is easy loan for good borrower. This unsecured loan is designed to meet various personal needs without mentioning the purpose at all. By applying according to the requirements Top Up loan can be available to the customer. BRAC Bank’s High-Flyer Loan is for airline; GSA & Travel Agency a professional is to makes the customer long cherished desires an absolute reality. Enjoy life to the fullest and take benefit of the varied opportunities it offers the High-Flyer Loan. Maximum 20 times of your net monthly salary. Minimum loan size is BDT 50,000; loan is available up to BDT 500,000. A special scheme that allows customer to avail the cash at a nominal interest rate is secured Loan. The security of the customer is kept untouched in the Bank’s custody as the value grows. BRAC Bank Interest First Fixed Deposit lets the customer draw the interest instantly at the time of deposit. The customers don’t have to wait till maturity to receive interest on Fixed Deposit. A deposit scheme where the client receives interest in advance. 95% loan against the deposit. BRAC Bank’s Deposit Premium Scheme is a savings plan that adds value to the hard earned money. ‘Banking That Sets You Free’ BRAC Bank offers Ezee Account a non-cheque interest bearing account for small savers who are in frequent need of transaction. It doesn’t need to write a cheque or stand in a long queue to draw money from BRAC Bank. Customer can get an ATM card or a VISA Debit card to operate their account round the clock. A regular savings account offering interests on deposit amount. BRAC Bank’s Current Account is a normal checking account, gives the option to deposit and withdraw money for day-to-day needs. BRAC Bank Salary Account is a payroll account for Employers and Employees. As an organization, it can opt for Salary Account to enable easy disbursements of salary & enjoy numerous other benefits. The organization needs to have a minimum of 10 employees and a payout of Tk. 1lac per month and an average salary per employee of Tk.10,000 per month. There is no minimum balance required to open Salary Account. Employees can open Salary Account with zero balance. Employees will be provided with VISA Debit Cards to allow them to access to 24 hour banking. These VISA Debit Cards can also be used for retail purchases not only from Brac booths but also any other bank’s booths and at various stores all around the country where the VISA logo is shown. The account also accrues interest on deposits. No minimum balance is required to earn interest on the account. All an employer would require to do is to send BRAC Bank an advice (in the form of a cheque/debit instruction etc) for the total salary amount along with the salary details of the designated employees in a soft and hard copy format and the bank will credit the respective employees’ accounts as per your statement of advice. Bizness Account is an interest bearing account only for business Enterprise for SME and Retail Banking. This product has been set in a way to encourage small & medium entrepreneur to enter into the wide range of modern banking facilities of BRAC Bank Limited. ATM/VISA/Debit Card is a plastic card to be used to mainly withdraw cash from automated teller machine (ATM). By opening an account with BRAC Bank Limited, customer can have ATM/VISA card. Loan Administration Department (LAD) born in 2nd May of 2003 through centralization. Previously it has supported Retail, Corporate, and SME. LAD was renamed in 1st of March 2006 as Asset Operations Department (AOD) currently AOD supports- SME, Retail, Corporate, and Trade Finance Department.